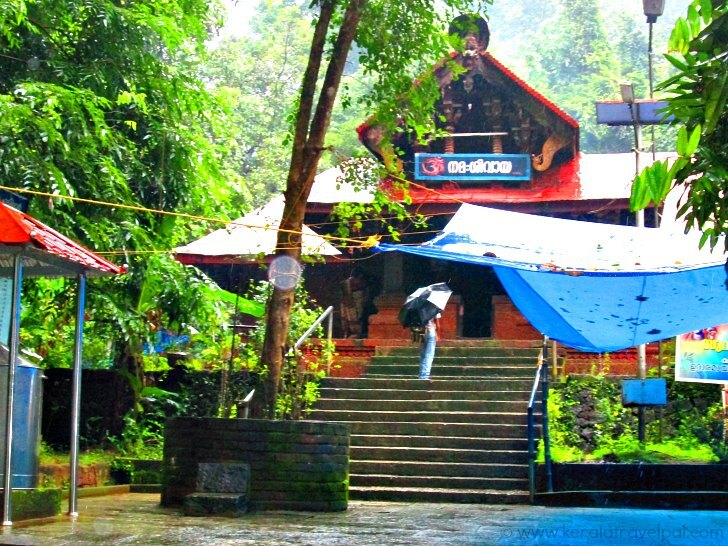 Few shrines have the antiquity or religious significance of Kottiyoor temple, which is considered to be the location of Dhaksha Yaga and the significant incidents that ensued. Kottiyoor is a village eastern Kannur, in the valley of huge hills and a short stroll away from the forest. As per legend, Sati ended her life at the spot of Dhaksha Yaga as she could not bear the insult of her father Dhaksha towards her husband Lord Shiva. Knowing the death of his consort, furious Shiva killed Dhaksha and destroyed the Yaga. Later a pacified Shiva brought Dhaksha back to life. His lost head was replaced by a goat’s head. Dhaksa became a devotee of Lord Shiva. Sati reincarnated as Parvati and later became Shiva’s consort. The place where gods Vishnu, Brahma and Shiva met became known as Koodiyoor. Koodi in Malayalam means together and ooru means place. Koodiyoor later became Kottiyoor. 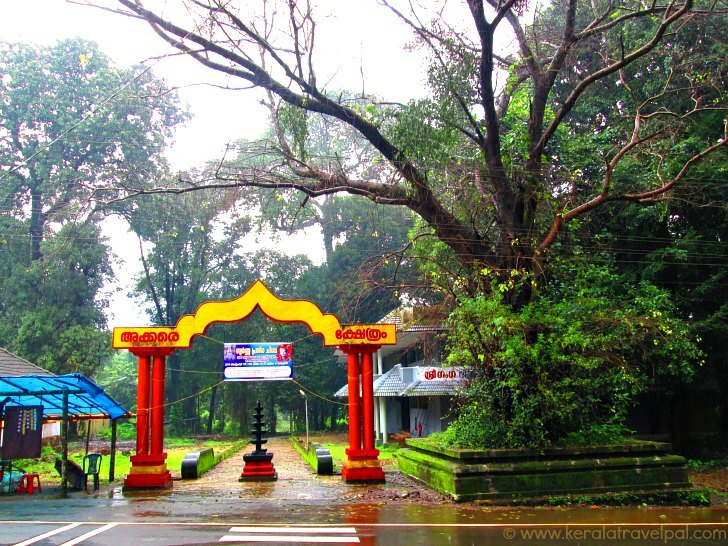 There are two temples at Kottiyoor. The original spot where Sati ended her life is the Akkare temple. The place is left as it is without any permanent structure or building. What you see there is a shallow pond, the Thiruvanchira. In the middle of the pond there two circular platforms, simple structures made of piles of stones. The first platform called Manithara holds Swaaymbhoo linga. This Shiv ling is believed to have originated by itself instead of anyone placing it there. Representative of Shiva’s presence, the sacred stone is considered to be a source of divine energy. The second heap of stones is Ammarakkallu, representative of Sati. Akkare temple is in the forest. This temple is open for prayers only for 27 days, the period of Vyshakha festival. Hundreds of thousands of devotees gather here during that time. Rest of the year, the place of worship is Ikkare temple, which is near the ghat highway. Aayilyar Kavu, the snake grove in front of Ikkare temple is quite fascinating. Dense growth of plants and trees is a protective sphere of several types of snakes, birds and animals. The Kavu is strictly a no entry place except for two days a year, when special rituals are conducted at midnight. Bhavali River is a torrential flow during rainy season. A holy river for devotees, water reaches here after flowing through areas of medicinal herbs along the hills and valleys of Wayanad. Kannur is about 65 kms away, if you take the shortest route ( via Kelakam – Nedumpoyil – Koothuparamba). Instead, if the choice of travel is via Peravoor and Iritty, the distance is just about 70 kms. The road that leads from Kottiyoor to Mananthavady is Paalchuram, a narrow mountain path. Curvy like a snake and hidden under a cover of mist, Palchuram is memorable for the awesome scenery from its terrifying height. Mananthavady is about 24 kms from Kottiyoor. This eastern region of Kannur hasn’t got the attention it deserves. Plan ahead before travelling through here and you can have a great time of sightseeing. Places to visit include Palchuram waterfall and Aralam Wildlife Sanctuary.